The Nike We Run MNL (Manila) returns for a third edition to inspire, motivate and connect runners around the world. On 1 December 2013, 15,000 runners are expected to take to the streets of the historical Marikina City and run the 10km in celebration of the spirit of unity that is significantly Filipino. “For this year’s race, we have incorporated the personality of the people of the Philippines to motivate and inspire them to lead a more active lifestyle. Filipinos are kindred spirits who, without hesitation, unite for a good cause and help each other. Taking this, we hope that every Filipino runner can inspire and motivate another and run the race together” says Courtney Cole-Faso, Country Marketing Manager, Nike Philippines. In the spirit of unity, runners must sign up for the race with a “buddy”. This is to encourage runners to constantly motivate each other to achieve their goals in preparation for the 10km race. Nike will organize training sessions in November to help runners prepare for the race. The training sessions will be conducted in various locations around the city, and runners will participate in Nike Training Club, get tips from athletes and get an experience only Nike can bring. 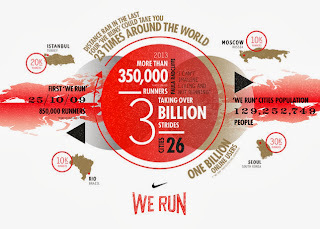 Runners can also prepare for race day through the more than 18 million strong Nike+ community. The new Nike+ Challenges is a feature that allows runners to set a distance goal, invite Nike+ friends to join, and race to the virtual finish line. Users can determine the name of the Challenge, mileage goal, time period and participants. Additionally, a new chat feature allows friends to encourage each other and share tips throughout the Challenge. Runners can stay motivated by checking the live leader board to track progress and see where they rank amongst their friends. Nike We Run MNL is part of Nike’s Global We Run Series which is aimed at celebrating, motivating and inspiring athletes from around the world. Manila will be one of 26 cities, with 350,000 runners taking over 3 billion strides during the course of the We Run race series motivated by Nike+ and Nike Running design innovations. 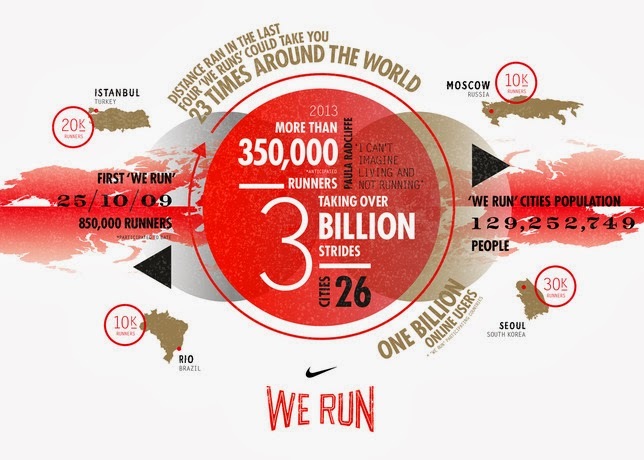 Nike’s We Run races range in distance from 5K to a full marathon and reflect the unique enthusiasm of each city. From Sao Paulo, to Seoul, to Singapore, runners will be moved to action through a series of unique experiences. You can also follow the Nike We Run journey through an interactive map online as it passes through each city. Online and in-store registrations will begin on October 25.